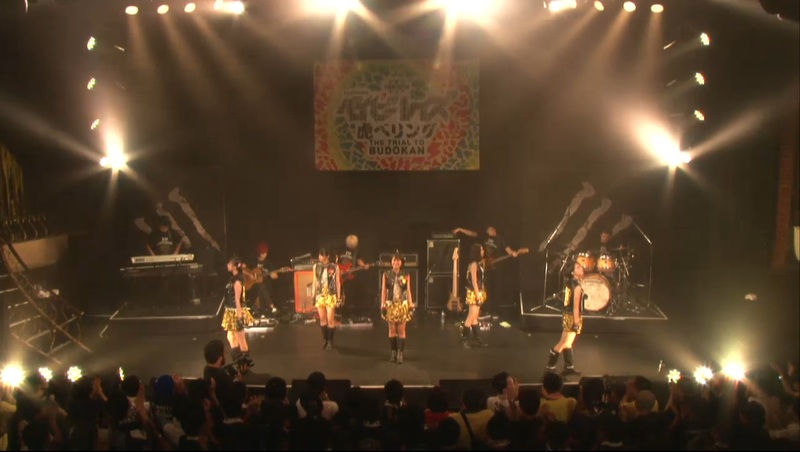 They came out and did ベイビーレイズ after the encore. Also, they said that if they didn't collect the 10,000 signatures that they would disband at the end of the year. Turnout was pretty good. Almost sold out? There were at least 2 open seats next to me in the second to last row. Babyraids are holding their 2nd Anniversary Lives today (19th) and tomorrow (20th). Tomorrow they will announce the results of their collect 10,000 signatures and play the Budokan, or split up, gimmick thing. Tomorrow's concert will also be livestreamed on ustream at 6pm JST!!! I was kind of hoping that they'd be outside the Budokan during the AKB48 janken tournament to collect signatures but I didn't see them. With 8 stops on their tour plus Tokyo Idol Fest, @JAM Expo, etc. I'd hope they'd have collected 10,000 by tomorrow. Does seem unusual that they're aiming for Budokan after 2 years when 9nine, their senpais only had their first Budokan after almost 9 years as a group. They got 13,872 signatures which means they'll be having a Budokan solo concert on December 18th!!!! Just finished watching the livestream! It was so good! Loved the concert! It's been ages since I've watched any Babyraids, and I really love the songs, and they are a great group. The signatures announcement bit was epic. 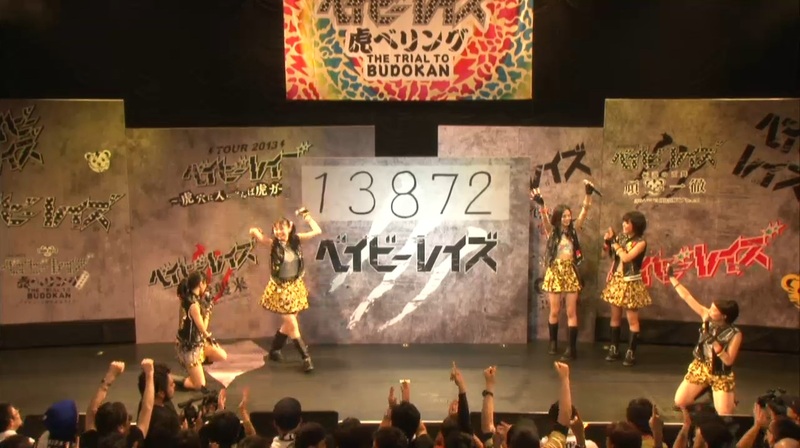 Denchan failing to rip it all off properly and then the 13,872 announcement. Wow! So many! It was also great that they performed with a live band in the 2nd half! I agree that it seems Budokan is too big and too soon for them, but congratulations on getting all the signatures and securing that Budokan live for December! Oh yeah, they also announced their 8th single in the double encore, but didn't perform it or give a release date. Such a fantastic group with awesome live performances. I saw them in July and it was one of the most energetic and entertaining concerts ever. I so desperately wish I could see their Budokan, but no way could I swing going to Japan this December, sadly >< Still, it's bound to be epic. Budokan trailer featuring footage from their Hibiya concert. Any news how their ticket sales are going? Great find. Enjoyed it a lot, though I think of some of their mid-tempo songs as being comparatively lush. Still nice fan interaction and MC (I like that) and a live band part. Quite a few new songs as well. And I never realised Ricopin having such a cute voice. She should work part time at a maid café. Rioton on the other hand must have gotten her place in the group due to a charity event. Still like her though. I never realised there was a "Gate Of The Tiger" dance version PV, I love this song! Babyraids held their Budokan live on 18th Dec.
From what I can tell from their email newsletter, about 5500 people were there, which is about 1/3 capacity for the venue. New single in spring 2015. Budokan concert DVD release spring 2015. 17-date nationwide tour in spring. At least they didn't pick something in French that sounds terrible in English like ANGERME? The Japanese reaction seemed positive with people associating it with X Japan, Ayaman Japan, Samurai Japan, Nadeshiko Japan, etc. but I feel that it limits them. They even said part of the name change was to get the hearts of all Japanese people so I feel like it's neglecting the rest of the world but then again, how does one balance domestic and international activities and how much does it pay back in return? I feel like Japanese fans are loyal, will buy lots of stuff, and go to a lot of events since they're in Japan but there are only so many of them and it results in the music/business model being closed off to the rest of the world. On the other hand, international fans aren't really concentrated in any distinct locations and have trouble getting access to goods and events due to geography and language. I was a little worried since the arena seemed empty when it started but it filled out towards the end. From what I could get from Twitter, Matsui Rena, PASSPO, 9nine, and Cheeky Parade were there (at least some of them) representing. Anyway, the DVD should be pretty awesome when it comes out. TokyoGirlsUpdate.com - S/mileage and Babyraids? No! ANGERME and Babyraids JAPAN! There's also this which is the longer trailer. And the Budokan performance of one of my favorite songs! Personally, I'm not keen on their new look, although it is very stylised. Hopefully the song will grow on me. At least the music is the same style as before.... but I'm not a fan of the new look.